Few of us know what it’s like to be a soldier. A slim majority of Americans know firsthand the dangers, camaraderie, regimentation, training, and uncertainty surrounding a life in uniform. For soldiers, returning from a life so disconnected from common experience can have an isolating effect. 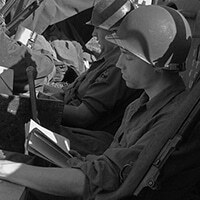 Since human connection is at the heart of the humanities, Talking Service connects returning veterans to literature that speaks to their experiences. Using Standing Down, an anthology of short stories, essays, and poems about war and military service as its foundation, each Talking Service series consists of six to eight weekly reading discussions led by a trained facilitator. Through Talking Service, veterans are provided a forum to share their wartime experiences, expand their appreciation for literature, and understand the role the humanities can play in helping them analyze their experiences, think critically, and adjust to civilian life. Talking Service is a national project supported by the National Endowment for the Humanities, and was originally created by the Great Books Foundation and implemented by the New York Council for the Humanities. 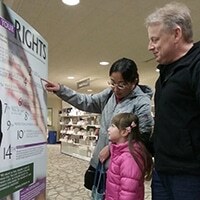 We’ve joined with museums and libraries across Washington State— and even Representative Dave Reichert’s office—to present a pop-up exhibit on the Bill of Rights. 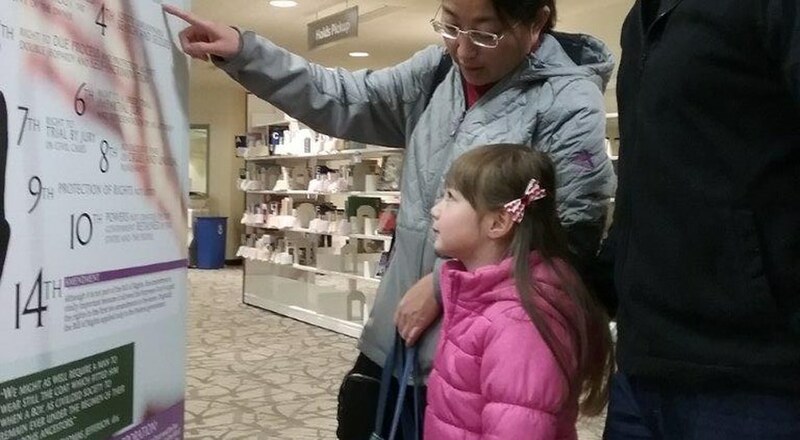 The exhibit, from the National Archives, was on display at most venues from January through March 2017. Presented by Humanities Washington and Copper Canyon Press, Pulitzers in Person brought Pulitzer Prize-winning and -nominated poets together for three webcasted conversations in fall 2016 about reading and writing poetry, and the conversations are available for viewing here. The central question addressed was, “What makes a poem, or a poetry collection, ‘extraordinary?,’” and featured discussions on W.S. Merwin, Theodore Roethke, and more. This program is part of the Pulitzer Prizes Centennial Campfires Initiative, a joint venture of the Pulitzer Prizes Board and the Federation of State Humanities Councils in celebration of the 2016 centennial of the Prizes. 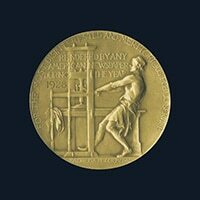 The initiative seeks to illuminate the impact of journalism and the humanities on American life today, to imagine their future and to inspire new generations to consider the values represented by the body of Pulitzer Prize-winning work. For their generous support for the Campfires Initiative, we thank the Andrew W. Mellon Foundation, the Ford Foundation, Carnegie Corporation of New York, the John S. and James L. Knight Foundation, the Pulitzer Prizes Board, and Columbia University. How can you make words more like music? "It isn't enough to say we 'need' the humanities because we ARE the humanities. They are gifts to us from our predecessors, ancestors, and contemporaries. They represent the imagination, [the] innovative, and ask us to think deeply—as the greatest philosophers and artists have always asked us for the last 2,500 years—about our experience, and to think beyond the various intellectually lazy forms of ideology circulating in America today."